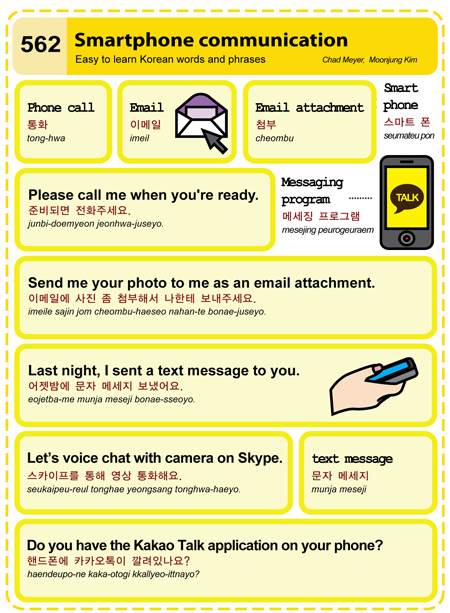 Korea’s KakaoTalk is a free multi-platform instant messaging app with over 70 million users (mostly in Korea). It’s available for free on Apple iOS, Google Android, Windows Phone, and Blackberry phones. The app developers admitted to have been inspired by WhatsApp of the US but they’ve gone on to expand the design. It features a phone number based ID system where your contact list is automatically compared to existing Kakao users and matches are determined to be ‘friends’. KakaoTalk’s explosive growth and success derives from Korea’s quick adaptation to smartphones. Even the word ‘Kakao’ has become synonymous with chatting in Korean. If you’re living in Korea or have Korean friends abroad, you’ll find KakaoTalk to be indispensable. While it doesn’t necessarily do anything better than other instant messaging apps, you’re guaranteed to find other Koreans using it. I frequently travel and communicate with international friends and KakaoTalk sadly has no use for me. Instead, I spend most of my time using Apple’s iMessage, FaceTime, Facebook Messenger, and Skype. KakaoTalk does support mVOIP for making calls to other Kakao users, but the quality is very poor (especially when calling internationally). I also dislike the app feature that automatically makes every contact a potential app ‘friend’. 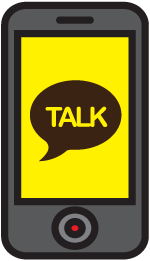 KakaoTalk has been in the news recently for several privacy issues as they had stored personal messages on their servers for up to 10 days. Currently, messages are stored for 5-7 days and they’re looking to reduce this in the future. Full story here. On March 6, they posted a notice to the app that there were further security issues and the Emoticons, Themes, and Plus Friend features had to de-activated until users installed a new version of the app. NHN’s Line is another popular Korean messaging app with over 100 million users globally. This entry was posted in News, Series and tagged Android, app, application, email, email attachment, instant message, instant messaging, iOS, Kakao, KakaoTalk, message, messaging app, Naver, Naver Line, phone call, photo, smartphone, social, text message, voice chat by easykorean. Bookmark the permalink.